1. Cut chicken into bite-sized pieces. In a bag or bowl, coat chicken with cornstarch. 2. Warm up a non-stick skillet to medium heat. Spray the skillet with canola oil spray and add the ginger, garlic, soy sauce and water to the pan. 3. Dissolve the Splenda brown sugar mix in the sauce and bring the sauce to a boil 2-3 minutes or until sauce thickens. 4. Pour sauce into a separate bowl. 5. Coat the skillet again with Canola Oil Spray and add chicken. Try to keep the chicken pieces in one even layer- making sure each piece is touching the skillet. 6. After 2-3 minutes, turn the chicken pieces over to finish cooking. 7. Once the chicken is cooked all the way through, add the sauce back into the skillet and simmer for one minute. 8. Add the green onions into the mixture. 9. 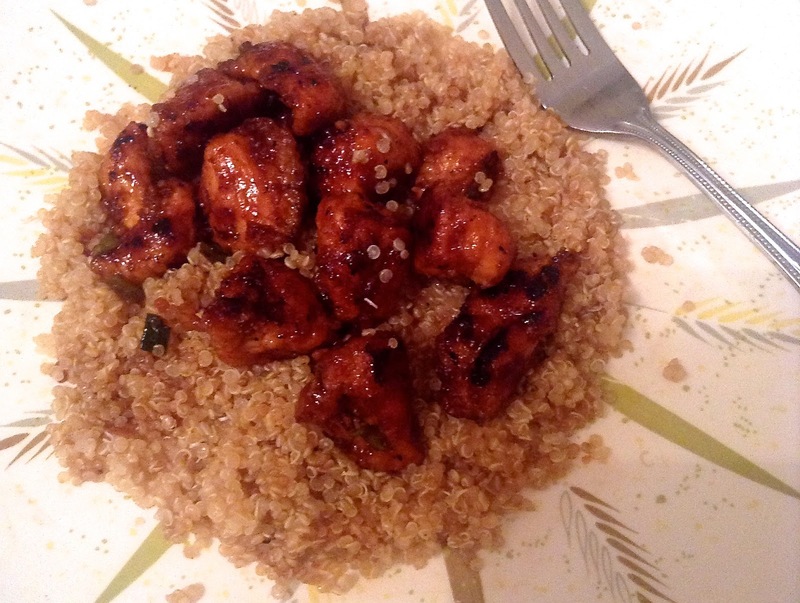 Serve the chicken on rice or quinoa.